My now husband and I hired Hip & Hitched to DJ our wedding in Decatur this summer, and we had an absolute blast with DJ Topher! He was so great at reading the crowd and extremely easy to work with, not only because of his knowledge around what makes for a fun party, but also because he was just as excited to be a part of our wedding as we were about getting married! It made a huge difference having him be such a big fan of some of the ideas we came up with. Several of our friends have used Topher for their weddings, so he was our go to guy when we got engaged. I think we gave him a good bit of freedom as to what songs to play, and he came up with some awesome mixes that kept the dance floor packed with our guests of all ages the entire reception, which was one of my wedding day dreams that came true. We did a few non-traditional things that aren’t typical for a wedding (we announced our own wedding party with funny intros from another room and did a wedding anniversary dance vs. bouquet toss/garter toss) and Topher had no problem accommodating that. Save yourself the hassle of googling Atlanta DJ’s and just reach out to Hip & Hitched. It will save you the time you need to plan the other important parts of your event! I have personally known Tim and his crew for the past five years. Being an operator within the nightife industry, I wanted to make sure that my wedding was covered by professionals. I immediately had Tim confirm. Knowing that he has extensive background in every genre of event/musical style/ and overall aesthitics I knew I was in good hands. My wedding was nothing short of amazing. He was on que, on time, thoughtful throughout the whole process, and covered every detail that even I didnt think of. I knew Tim would be the professional I needed him to be, but I also chose him for his character and good heart. One of the most genuine people I have met in a long time. Working beside him or allowing him to play your wedding will be a great decision that you constantly look back on with a big smile. Make smart decisions because you cant recreate your most important of days if something should go wrong. I can’t say enough good things about working with Tim at Hip & Hitched. I searched a while for a wedding DJ and was thrilled when I found Tim. From our very first conversation, I knew that he knew about music, knew how to set the tone for an event and knew how to pace the experience so that people would be dancing all night. I opted to have Tim DJ and to have a live percussionist. This was a really great decision for us and people commented all night on how awesome the music was. Besides being a super nice guy, Tim is very professional and accommodating. He gave us a timeline to fill out that broke down the entire wedding event, allowing us to pick all of our songs for the important moments. And when I didn’t know what songs to pick, he made really great choices for us. On the day of the event, everything went off without a hitch. He found songs to get EVERYONE on the dance floor. It was an awesome time. I would recommend Tim to anyone and everyone who wants an groovin’ party! And yes, spend the extra money for the disco lights and the bass! Ryan & Veronica Costa Rican Destination wedding. Hip & Hitched videoed and DJed our wedding in Costa Rica and it was awesome. The wedding music was awesome. The dance music was awesome. And the video recording was awesome. I would recommend them to my best friend! Ryan Johnson and Arin / NYE at Mason Mure / masonmurer. a new years eve wedding. Thanks for the perfect mix and sound system for our wedding. AMAZING! Everything went off incredibly well, everyone was raving about the party mix and light show! Thanks Tim! Everyone is saying it was the best holiday party yet, thanks to DJ AJ! We had Tim DJ a client party once and it was equally as awesome. We’ll definitely be using Hip & Hitched for all of our events from now on! Thanks for such a fun night! From: Mary & Marc Winslow….best wedding music ever! Highly recommend using Tim DeGroot for any special events you have coming up! His selection of music was perfect and really got out guests out of their seats and grooving! Tim was incredibly helpful in selecting music, really well organized and helped make our day really special!! Juan Diego : Mr. & Mrs. Ramirez’s Beach House Wedding Last June. WOW that was the best wedding reception ever! Everyone had a blast !!!!! We always say a great party is only as good as it’s DJ… and as far as DJ’s go Tim DeGroot Dj tD is the BEST! Hip & Hitched took care of everything during our wedding even coming up with the PERFECT father/daughter song day of! The selection of the music was perfect from the first dance to the last. Our guests are still talking about the great time they had. We also had Hip & Hitched DJ tD for our engagement party. And we can not wait to have our future engagements arranged by them. If you want to host an event that gets everyone on the dance floor and has your guests raving about the music then you need to book Rare Form Live ASAP! They played for our wedding this June 18th in Athens and they are the absolute best band and entertainment group around. Thanks for making our wedding so stellar!!!! Tim, thank you turning our wedding reception into an epic dance party! A month later and our guests are still talking about how much fun they had. You listened to all of our requests and did an amazing job reading the crowd’s energy and playing the right songs at the right time. You had guests of all ages out on that dance floor bustin’ a move! Thanks again- we highly recommend you for wedding and events. vendor of the week shout-out to Hip & Hitched!!! 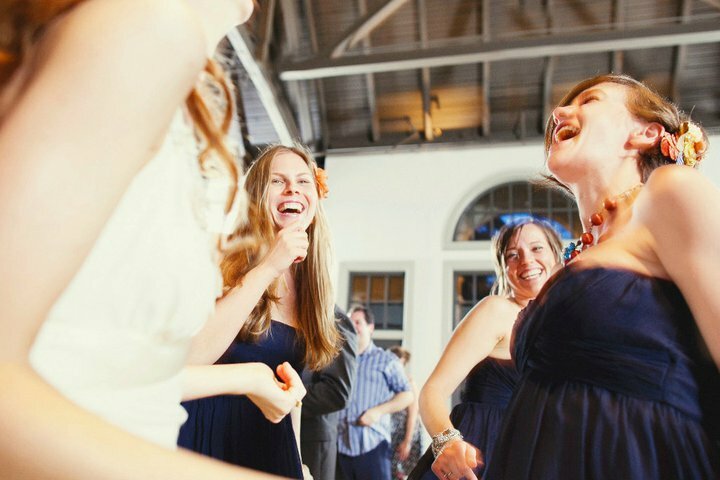 if you want your guests to have a BLAST and dance until they drop, THEY are ABSOLUTELY the way to go!!!! check ’em out! Suzanne Shaw / pennhouseproductions.com/ hambidge.org & Art Papers Art Party. Great to meet you too! Everyone had the best time and they all keep raving about the awesome music. As soon as I have dates for some future events, I’ll be in touch. Thanks again!!! Amazing event thanks to you, you were awesome! Thanks again…. You are so right!!! He is awesome! At Atlanta Hemp, he was always pushing the best beats out the door at the wine tastings. Glad you enjoyed! People keep telling us that our’s was the best wedding they’ve ever been to. In no small part due to Tim’s skills on the turntables. I don’t know who else could have rocked the dance floor better on a Sunday afternoon. Tim was cool enough to drop some tracks that were special to us, tracks I had only given him the night before, and to our amazement, was remixing them on the fly, juggling and scratching stuff like Otis Redding like you’d never heard before.